Welcome to Wellpoint Sports Acupuncture! Sports Medicine Acupuncture combines perspectives of both Western Medicine and Traditional Chinese Medicine (TCM) in order to assess, diagnose and treat the condition/person as a whole. 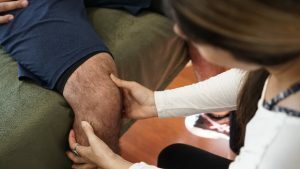 Simply put, this wider perspective and range of use of potential therapies can lead to faster and more permanent results for sports and work-related injuries. In this special assessments we take a holistic approach to determine what the immediate concern is and what the root cause could be. Efficient diagnostics and results are produced due to the positive combinations of multiple treatment modalities, allowing a much stronger and efficient approach to treatment of sever pain or various advance problems, injury prevention, recovery, etc. Sports acupuncture uses postural examination and orthopedic rehabilitation evaluation to assess the musculoskeletal system. Other modalities like body-work, manual muscle testing, assisted stretching (PNF), corrective exercise prescription and nutrition are often incorporated into your treatment sessions. We will continue to reassess your progress as we address the many aspects of various source of problems, to ensure that your recovery is as rapid, complete and permanent as possible. In the end, we have found that more thorough assessments and treatments lead to results that speak for themselves. What can you expect from the initial assessment? Through the incorporation of modalities from both western medicine and TCM, assessments get quite in depth. We need figure out the source of the problem (if already not know) and treat the body as a whole despite what the source is. 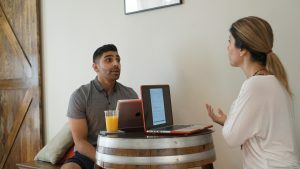 History taking is an essential part of any therapy, therefor going through the related intake form and after carefully listening to everything you need to share and examining the case, everything you need to know will be explained. We would then proceed with the treatment which will include Acupuncture itself. The variations are: manual therapy, orthopedic examination, body work, kinesio-taping as well as specific excersizes. As part of the initial assessment, a treatment plan will be developed to ensure you meet your goals as well as providing relief on the long-term basis. Assessing and reviewing the case and the symptoms are regularly performed as your treatment progresses, to ensure accuracy in diagnostics and treatment. This could mean, your treatment plan can also change as we proceed over time. What determines a treatment plan? TCM differential diagnosis leading to possible underlying causes, nature of injury, pain patterns, duration of the symptoms (acute vs. chronic), postural assessment, kinesiology of the spine, trigger point pain referral patterns, muscle origins/insertions and actions, etc… most of all, the purpose(s) of which the individual is seeking treatment for, are all taken into consideration to form the patients treatment plan. 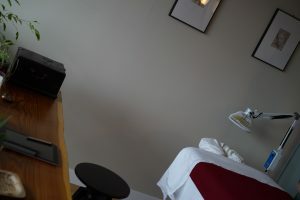 What will your treatment sessions include? Each situation and patient is unique, and so is each evaluation and treatment plan. Your first few treatment sessions will start at 90 minutes, once the pain pattern or the nature of the problem has shifted (likely after 5-6 treatments), the duration can be reduced to 60 minutes. 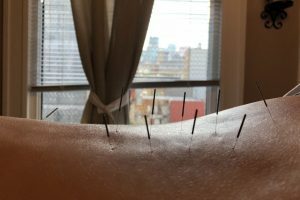 The sessions themselves will likely involve cupping and/or body work followed by approximately 25 minutes of acupuncture, during which time needles are inserted into specific points in the body. Additional manual therapy and/or assisted stretching often follows, then we will review the exercises prescribed for you to follow between visits. In the majority of cases, you’ll start to see results within the first 3-6 sessions. How long will you need to recieve treatments? This depends on a number of factors specially the nature or the reason for therapy, but the goal is to have you functioning as close to normal or as pain free, as soon as possible. It is not our goal to have patients going on with their treatments indefinitely or for extended periods of time – we’ll work together to get you to where you need to be. How often/frequent will you need treatments? How long will the results last? This also depends on the nature of the injury and the source of the issue. We’ll see each other preferably more frequently in the first 3-4 weeks as we actively treat your conditions. Then, once we’ve achieved the optimal results and enter the maintenance phase, the number and frequency of visits may decrease. For some conditions, results could be permanently resolved, while others could require maintenance for a period of time. Why would you choose Mahsa Ahmadi R.Ac. as your practitioner? As mentioned previously Mahsa is a Registered Acupuncturist in Vancouver area who is also specialized & certified in Sports Medicine Acupuncture (C.SMA). She has extensive experience in treating and managing many advanced or chronic pain-related problems and conditions, therefor can be a great reference for many areas you may need help with. She offers advance assessment and needling techniques that are not taught in local colleges. She takes great care with every case and every treatment is crucial to be effective and to the point. She will guide and assist with any questions or concerns you may have on ongoing basis. Why do you suffer from recurrent injuries? After doing the in depth assessment we can get to the source of your injuries. Most likely you have an underlying structural issue leading to muscle imbalances or vise versa. Through sports acupuncture we are able to RESET, ACTIVATE and BALANCE out the muscle groups in order to help you stay injured free and reach your maximum potential. 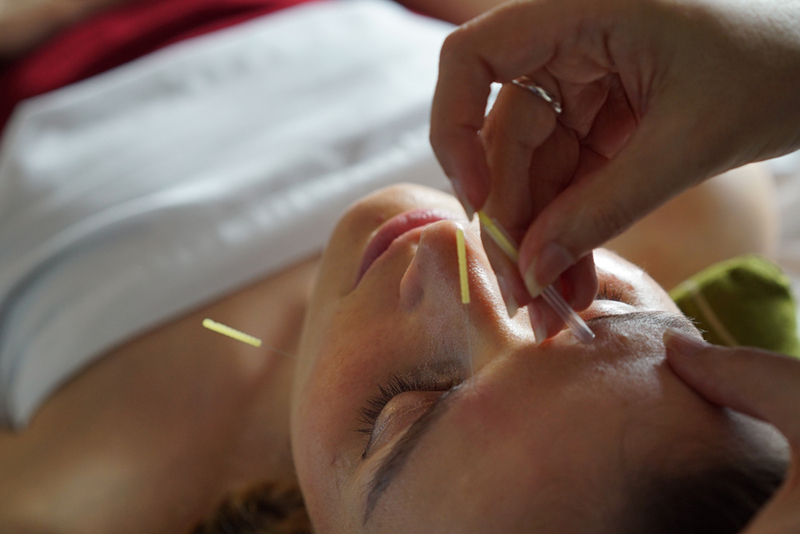 Acupuncture is a therapy that is rooted in over 3000 years of ancient science and tradition. It has solidified its position within Western medicine as a proven restorative process. The World Health Organization (WHO) confirms that the benefits of acupuncture therapy include the elimination or reduction of pain, a greater sense of vitality and a general well-being. Acupuncture can offer a safe, effective and natural way to prevent illness and help the body restore its self-healing ability. By targeting precise points on the skin with thin sterile and disposable needles, acupuncture can relieve physical, psychological and emotional problems. It has also been scientifically proven that acupucture stimulates the natural release of endorphines (natural pain-killers of the body) as well as various neurotransmitters such as seretonin, melatonin, epinephrine, norepinderphrine, etc. Through the activation of the brain itself, we can manage or treat pain, mood disorders and endless conditions that may not even have been defined in western medicine. An ancient and traditional therapy, used for centuries, its legacy spans ancient Egypt, Greece, and North America but cupping is best known as a facet of traditional Chinese medicine (TCM). A cupping session entails the placement of glass or plastic cups along the back (or various injured areas) to create suction, initiating an increase in blood flow that in turn leads the body to healing. Cupping therapy can be used to treat respiratory conditions, relieve pain, and induce the body to heal itself from a number of conditions. Suction cups rapidly facilitate rigid soft tissue release, loosen and lift connective tissue, break up and drain stagnation while increasing blood and lymph flow to skin and muscles in ways not possible with compression. By resurfacing dead blood cells, the body’s detoxifying ability is triggered, therefor your body is able to flush out toxins and help you produce fresh blood. What are the potential benefits of Cupping Therapy? Negative pressure, rather that tissue compression, is superior to bodywork for pain, stubborn conditions, repetitive strains, inflammation, toxicity, chronic fatigue, digestive problems, gynecological problems, and series of other issues we confront as we grow older. Are Acupuncture and Cupping therapy covered under insurance? 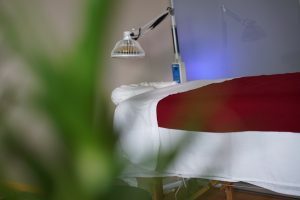 TCM and Acupuncture have a regulating body in BC called the CTCMA and under this regulation certain extended health care providers cover Acupuncture & Cupping Therapy which falls under the scope of practice of an acupuncturist. MSP also covers partial fees of your treatment depending on your income. You will always be provided with receipts that you can submit to your insurance providers for your claims. Thanks to modern technology, the needles are made of sharp and fine coating material that make the experience painless. However due to the person’s constitution and the nature of treatment various sensations such as mild ache, slight burning and general grabbing of the needle by the tissue can be momentarily felt. The Acupuncturist can always make sure that every needle feels comfortable. Acupuncture can help with a long list of symptoms, injuries, and disorders. Please refer to the conditions table below. Developed according to the principles of Chinese medicine, Facial Rejuvenation works in harmony with the natural energy systems of the body. It re-educates facial muscles (relaxing or smoothing overworked muscles, tonning of softer muscles and creating a lift), loss of elasticity of the skin, and addresses the underlying causes of visible aging such as lack of blood flow to the head and face, causing extreme dryness or even blurred vision. This very precise and detailed therapy, along with its ability to promote healthy blood flow to the skin of the face in particular (or local area), has brought a recent focus in this practice in treating scars due to surgery or acne. As a result of multiple treatments, the skin is able to create new cells, minimizing or completely getting rid of the scars. Facial Rejuvenation is also a natural alternative to harsh and often dangerous cosmetic procedures such as facial surgery, Botox, Chemical peels and dermabrasion. It can get rid of the wrinkles on eyelids and lips that other cosmetic procedures would fear to treat. Anyone concerned with looking and feeling young and slowing down the aging process. The decision to begin treatment may be professionally or personally inspired or a combination of both. Facial Rejuvenation Acupuncture is suitable for those with deep wrinkles, fine lines, bags under the eyes, sagging, puffiness, drooping eyelids, double chin, large pores, dry skin or acne. Different methods are emphasized and specific points stimulated according to how an individual is aging. A person with excess puffiness, for example, would require a different treatment than someone with dry skin. The whole person is treated and evaluated on the body-mind continuum–the foundation of Holistic Medicine. There’s always an initial intake where you fill out the required form. We will go over all your needs and concerns and come up with areas of focus. Cleansing regimen, nutrition and some other lifestyle choices are discussed. There will be recommendations on regular basis. Generally, it consists of 6-12 treatments. The effects become most noticeable around 3-5 and lasting on or about the seventh session, however there are benefits from each treatment. Each person responds differently, depending on his or his/her condition and lifestyle prior to treatment. Following the initial course of treatment, maintenance sessions can prolong the results for five to ten years. It is often recommended to supplement the Facial Rejuvenation program with facial self-massage and/or acupressure, facial exercises, herbal and nutritional supplements, pure and authentic aromatherapy blends for the skin, and a healthy diet. Facial Rejuvenation Acupuncture may erase as many as five to fifteen years from the face, with results apparent after just a few treatments. Fine lines may be entirely eliminated and deeper wrinkles diminished. Bags under the eyes or general puffiness can be reduced, jowls firmed, droopy eyelids lifted and double chins minimized. Other likely results include: moisturizing of the skin with increased local circulation of blood and lymph to the face; increased collagen production, muscle tone, and dermal contraction; tightening of the pores; brightening of the eyes; improving of hormonal balance to help acne; reduction of stress evident in the face – bringing out the innate beauty and fadiance of an individual.